This beautiful natural gloss finished guitar has Flamed Maple top and body. 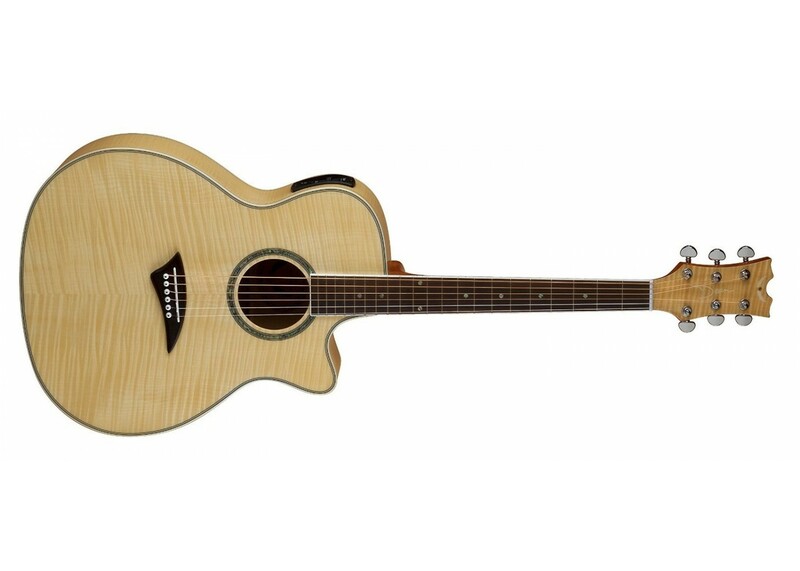 Just like you would want your guitar sound, rich and vibrant, this guitar produces beautiful and powerful sound. It has 25-1/4 inches scale . The Mahogany neck fits perfectly on your hand and gives you smooth feel while holding this piece of beauty. 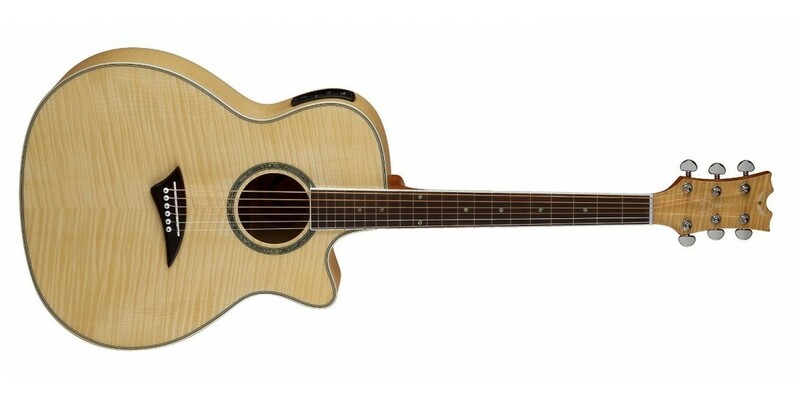 Featuring Rosewood fingerboard it also has abalone dot inlays. Grover tuners and Multi ply bindng are few other features of this guitar. Comes with DMTI2NR 4 Band EQ Preamp with Tuner.